MTI Consulting is an international management consultancy, with MTI Consulting is an internationally-networked, boutique management consultancy enabling our clients to ‘Analyze > Strategize > Realize’ profitable business opportunities. Since the company’s inception in 1997, MTI Consulting had conceptualized and continuously improved their concept of a ‘Smart Office’. 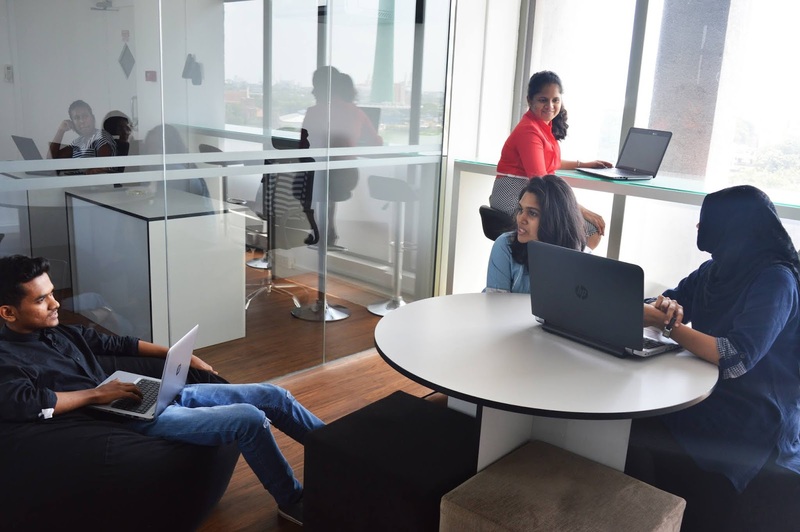 This was taken a notch higher when MTI recently moved into its new Smart Office at the Aitken Spence Towers at Vauxhall Street. For the first time, MTI has ‘open sourced’ their concept of a Smart Office, why it is needed and how it is lived on a day-to-day basis. The essence of the Smart Office concept is captured by 11 principles. However these principles do not stand alone and must be applied in synergy to create the optimal environment for focused thinking which is the foundation of any knowledge based enterprise. In the modern workplace distractions are more abundant than ever before, whether it be our phone, emails or even a chatty coworker. Simultaneously as more routine tasks are being automated the value of focused thinking required to solve complex problems is greater than ever before. Research from The University of California has shown that after a distraction it takes an employee 23 minutes to get back into a focused state of mind. A distracted employee is both unproductive and error prone. Therefore creating a workplace where everyone and everything is contributing towards doing focused work is of utmost importance as focused work is the true foundation of any knowledge based enterprise. Stress is often cited as the silent killer lurking within most corporate environments. A recent study by Willis Towers Watson has indicated that employees experiencing high levels of stress are disengaged and less productive, which is in addition to the detrimental health effects of such stress. The first step in building a productive workforce is encouraging a relaxed workplace atmosphere. MTI lives this principle day in day out by encouraging their employees to dress in a relaxed manner and to take breaks to inject a little fun into their day. Breaks are spent playing a game of Jenga or Foosball which gets the blood flowing and helps employees to recharge and refocus. The combined effect is a MTI workplace which is homely and inviting to their employees. Multiple studies have reiterated the fact that such practices tend to minimize stress and maximize productivity. A work space for any knowledge based worker should enable them to focus in order to provide value adding services to the final customer. For this reason, MTI practices the approach of hot desking. MTI’s approach to hot desking involves rotating workstations every day with only essential belongings being kept on the surface of the workstation and the employee being responsible to tidy his/her workspace at the end of the day. This approach encourages employees to become more fluid, organized and focused with their work and avoid clutter which may lead to distractions. Also, rotation of workstations means that you’re seated next to someone new everyday leading to better communication and professional relationship building within the team. Hot desking forces organizations to modernize their infrastructure. Although employees are given the freedom to move around the business, their experience still needs to be the same regardless of where they work. In order to address this MTI has moved the entirety of their internal business systems to cloud-based systems which can be accessed remotely. Since MTI prefers its workspace to be minimalistic as possible, it follows the principles of smart arrangement and task-specific workstations. Employees share printers and stationery which are located in a specific common area which minimizes the need of having multiples of the same item. This also ensures that employees are not positioned at their desk all day as they are required to move about to use work related equipment. MTI believes that being minimalistic is a sustainable practice towards preserving the environment. MTI operates in a paperless manner and makes an active effort towards having near zero waste. In any organisation, the organisational culture is a contributing factor to its success. The culture at MTI is such that people work as a team not only for assignments but for the overall well-being of the organisation. This is practiced using simple yet powerful concepts such as “do-it-yourself” (DIY) and chip-in for common good. These concepts can be broadly defined as each employee doing their part to contribute to the operations of the office on a daily basis. This is seen in action at MTI in how each team member takes turns to do little things like answer the door and the phone. It is also lived in the way in which every team member brews their own tea/coffee and cleans up after themselves. And like any family, staff relationships at MTI are built on candid yet respectful communication which biases team members to be direct with their communication but also be aware of the effect that one’s words can have. This creates an environment where employees can trust each other and also opens channels of communication which allows for effective communication without fear of workplace conflict. When the above principles are applied in conjunction with strong buy-in from all employees organisations will be able to achieve the ultimate goal of a productive workforce engaging in focused work which is the overarching principle of the MTI Smart Office concept. MTI Consulting is an international management consultancy, with operations across Asia & the Middle East and networked across America, Africa and Europe. Since 1997, MTI has delivered over 640 projects in 42 countries, applying MTI’s ‘Analyze > Strategize > Realize’ approach. 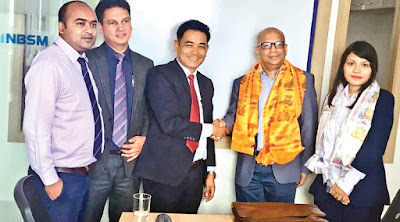 The MTI International team led by CEO Hilmy Cader, is currently in Kathmandu as part of its initiatives to strengthen ties with NBSM Consulting, MTI’s associate in Nepal. 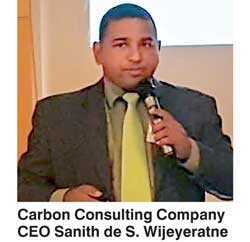 Leading the global discussion on climate change this week, Sanith de S. Wijeyeratne, CEO of the Carbon Consulting Company (of which MTI Consulting is a Strategic Equity Partner), was invited to speak at the Asia Pacific Climate Week (APCW2018) hosted across three days in Singapore. The event was held under the leadership of the UNFCC, and sponsored by The World Bank Group and the ADB. The theme for APCW2018 was ‘Climate Action for Sustainable Development: Driving Change in Asia Pacific’ which focuses on market-based approaches, economic instruments and climate-aligned finance to drive investment in climate action. Carbon Consulting Company (CCC) was chosen to showcase its work in helping achieve water neutrality for one of the world’s leading garment manufacturers – Linea Aqua – which became the first garment factory in the world to achieve corporate water neutrality. Bakamuna, a mixed media lifestyle design brand, enabled by MTI’s idea2fund has successfully completed a nine-day run of its pop-up at The Hilton Colombo. 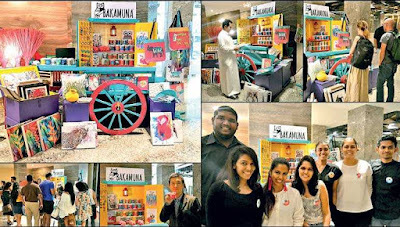 The brand’s first ever pop-up, a repurposed bullock cart that carried a range of lifestyle products such as homeware, stationery and accessories was stationed at the Hilton Colombo from 23 June till 1 July. The traditional mode of transportation was given a modern vibe with the use of contemporary design elements and was used to showcase a range of products that had been created through mixed media design. The overall footfall generated by the pop-up was noticeably greater each day and it proved to be a major attraction for tourists and locals alike. This store concept enables Bakamuna to easily take their mobile shopping experience to different locations.